When a marriage goes through its ups and downs, where do you turn for guidance? I can honestly and wholeheartedly say to you that if it was not for my faith our marriage “Never Would Have Made It” through the storm! Glory to God our marriage not only survived the storm but we are lying under a beautiful rainbow covering! See most married couples have it twisted. Twisted in that they think they can do this marital thing alone or just the two of them. However, marriage is a God thing! Oh and when you recognize it is a God thing it become a good thing! I knew that I could not do this alone. Don’t get me wrong, I’m a strong woman but even the strongest of us grow weak. A wedding gift gave me life at one of the weakest times in my life. A wedding gift that my husband’s aunt had blessed us with became my most cherished gift ever and would prove to save our marriage time and time again. My mother raised me Catholic and I went to church as far back as I can remember. However, I strayed from my faith as a young adult and it definitely came “roaring back” when I learned of my husband’s affair in 2006. I know that I would not have gotten through our infidelity had it not been for my faith and prayers of others. It is vital that you be grounded in your faith and prayer life to fight for and save your marriage too. I’m going to try to make a long story short and provide the very scriptures that supported and encouraged my faith to fight for our marriage and WIN! Psalm 50:15 Call upon me in the day of trouble; I shall rescue you, and you will honor me. After crying out at the top of my lungs in desperation, I remember feeling so completely depleted and utterly exhausted that I fell to the floor in the fetal position. It would be safe to say that if anyone walked in and found me lying on the floor, they would say I needed rescuing! I knew I needed rescuing and, luckily for me, the Lord knew it too. One of my favorite scriptures began to play in my head reminding me that I was not in despair. I’ve learned to believe what God say’s about me, and if God says I’m not in despair, then who am I to argue with God?! A majority of us, especially women dream of the “perfect” wedding which most take for granted and assume will naturally mean a “perfect” marriage. Don’t get me wrong marriage can be glorious and gratifying! At the same time, understand marriage is not for punks either! Marriage is a life in and of its own. It is a breathing bond in need of life-sustaining faith in order to weather the marriage. Just like our bodies need water, our marriages need faith. Our natural faith is necessary and sufficiently effective to enable us to live day in and day out in our marriage. However, it takes more to save a decaying marriage. It takes a special gift from God and that gift is your faith! Most mulberry trees are quite huge and immensely challenging to uproot by bare hands. Luke was referring to a powerful faith found deep inside all of us…a saving kind of faith! The same kind of faith that gives power, might, and strength to uproot a mulberry tree. So much so it can uproot a solid trunk of anguish in your marriage. No more small thinking here. Like Luke, I believe that through your saving faith, you are more than capable of cleaning up the nastiest, stickiest mess that has built up between you and your spouse. We are living proof you can too! BMWK, how have these scriptures helped you? Da-Nay Macklin wrote 46 articles on this blog. Coach Da-Nay Macklin is a Certified Christian Life & Relationship Coach, founder of the Courageous Conquerors Mastermind and Author of Love After Adultery: The Breakthrough Journey of the Brokenhearted Available on Amazon She is one of the nation’s leading experts on infidelity and a thought leader on maximizing potential as she assists couples and individuals to live life by design and not default. Da-Nay has been has been featured on the Oprah Winfrey Network’s show Unfaithful: Stories of Betrayal after successfully navigating adultery in her marriage, and named one of the 15 most powerful women on the south side of Chicago. She now resides in Charlotte, NC with her loving husband and daughter. More available at BlackandMarriedwithKids.com. 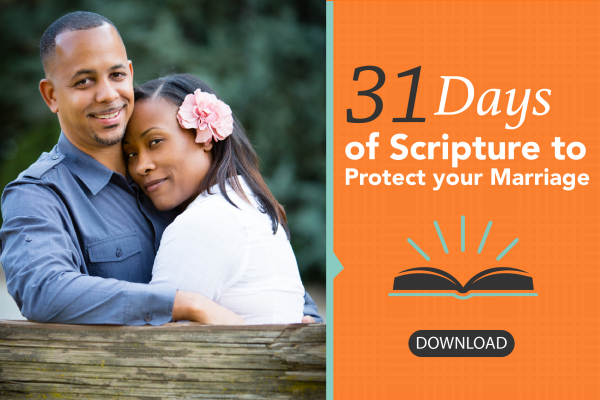 Link to article https://blackandmarriedwithkids.com/2017/11/infidelity-after-the-affair-4-scriptures-to-reignite-your-faith-and-save-your-marriage/?utm_source=rss&utm_medium=rss&utm_campaign=infidelity-after-the-affair-4-scriptures-to-reignite-your-faith-and-save-your-marriage. Previous article Previous post: How Do I Make My Marriage Work When Finances are Not Working?